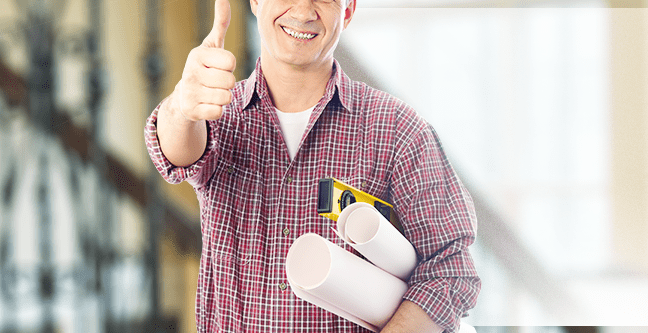 Today, there are so many beautiful choices when it comes to replacement windows. In fact, there are so many choices it can be a bit overwhelming. Reviewing the different styles of windows can be helpful. The more you know about each style, such as how they operate, the advantages they provide, and basic window terminology, the more confident you can be to make an educated choice for this important home improvement investment. Following is a brief overview of the custom-built North Star replacement windows Brampton Ontario options available at Brock Doors and Windows. Single-hung tilt windows – A single-hung tilt window has a bottom panel, or sash, that moves vertically, while the upper sash remains stationary. A single-hung tilt window can also tilt towards the inside of the house for easier cleaning. Double-hung tilt windows – Double-hung tilt windows differ from single-hung tilt in that they offer the homeowner the ability to open each sash, rather than just the bottom sash. This allows for better air flow and ventilation. The ability to open and tilt each sash makes cleaning easier, too. Homeowners living higher than ground level are able to tilt the sashes inward and clean both the interior and exterior surfaces of the glass without needing special equipment or a professional cleaning service to do this for them. Sliding windows – Sliding windows have a horizontal orientation, with sashes that slide back and forth rather than up and down like more traditional windows. They are essentially double hung windows turned on their side. These windows offer an unobstructed view and are perfect for larger openings. North Star manufactures several types of sliders including single, double tilt, double lift and three-lite end vent sliders. All of these configurations offer a variety of convenient benefits. Casement windows – Acasement window is one that is attached to its frame by one or more hinges. These windows are hinged at the side and are closed using a smooth operating crank mechanism. When closed, a multipoint lock holds these windows tight. Casement windows open and close easily and offer a modern design with open sightlines. Awning windows – Awning windows are hinged at the top and open outward. They are often placed above or below other style windows or above doors for better light and ventilation. 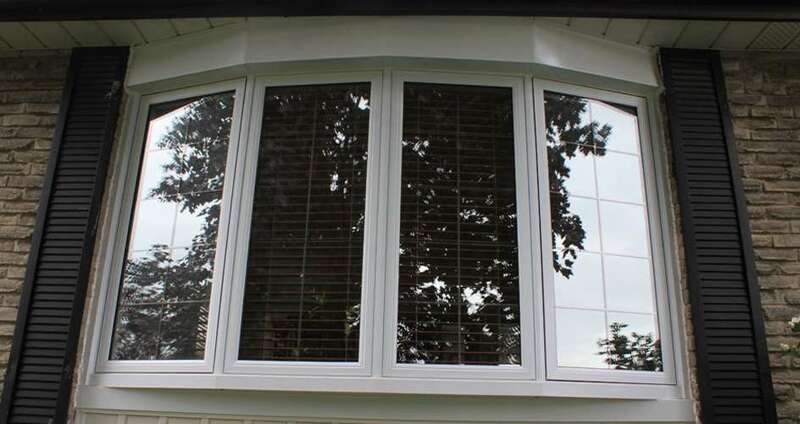 Bay and bow windows – Bay windowis a generic term for all protruding window constructions, regardless of height. Bay windows are generally three windows of varying sizes. They usually have a larger window in the middle with two smaller windows called flanks. The flanks are angled outward approximately 30-45 degrees forming a cove inside the home. The advantage of the center window is that it provides a larger view while also providing great ventilation. Bow windows are comprised of four to six windows of all the same size. They are less angled than the bay window and have a more gradual curved look and feel. Realtors agree that bay and bow windows will add value to any home. 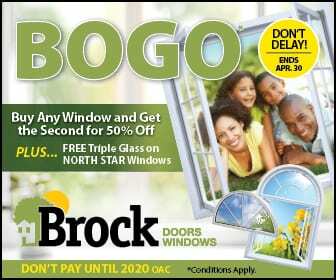 There are many other window styles available at Brock Doors and Windows including custom designs. Our windows, manufactured by North Star, offer many features such as E-Z Screen innovation for easy cleaning and seamless fit and nesting folding handles for smooth, easy movement with a sleek and elegant look. The professionals at Brock Doors and Windows specialize in North Star windows and are able to introduce you to all the styles and customizable features available. We can help you find the perfect windows to suit your unique needs.